In the latest indignity for a once-grand retailer, the share price fell below $1 on Friday for the first time in the company's history, dropping as much as 15% to 85 cents in midday trading. Falling into loose-change territory is more than embarrassing. Nasdaq, the exchange where Sears stock trades, could delist the company. That's a long process and would happen next year at the earliest. Shares of Sears Holdings (SHLD) had already plunged 88% in the past year. They took another blow Monday, when CEO and primary shareholder Eddie Lampert warned the board that the company was running out of time and cash. He said Sears must restructure and cut its debt "without delay." 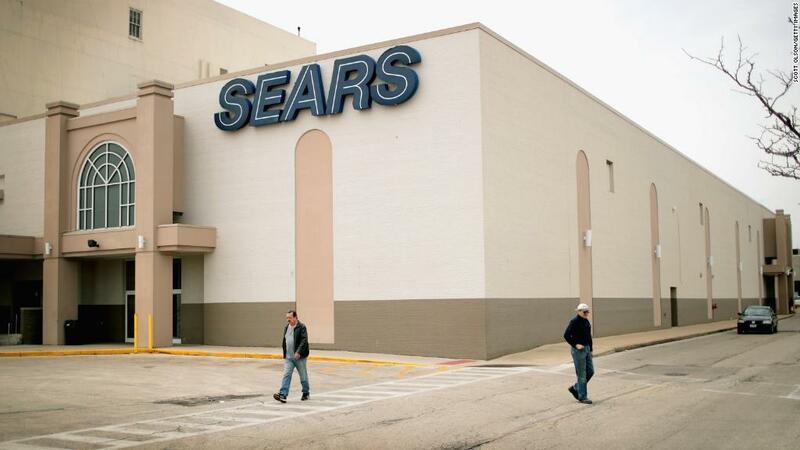 Sears' market value has fallen to less than $100 million. Lampert recently offered to buy the Kenmore appliance line through his hedge fund for $400 million, suggesting that the Kenmore brand on its own is worth more than four times as much as the whole company. All of which is a stunning reversal for a company that was once not only the nation's largest retailer, but also its largest employer. In its heyday, Sears was both the Walmart (WMT) and Amazon (AMZN) of its time. In the late 19th century and early decades of the 20th century, many Americans bought mass-produced goods for the first time through the Sears catalog. Most lived on farms and in small towns, and had previously made many of the goods they needed, such as clothes and furniture, themselves. Big box retailers such as Walmart beat it on both price and selection. In 1999, Sears was booted out of the Dow Jones industrial average, where it had been for 75 years. Home Depot (HD) took its place. It told investors last year that there was "substantial doubt" it could stay in business. Lampert's latest warning to the board raised a similar warning. He said it was in the best interest of creditors and shareholders to restructure the company "as a going concern."